The century-plus history of the cinema has seen more than its fair share of grand projects nurtured by filmmakers for years before being abandoned under any number of conditions. In modern times there have been few directors as determined to make a dream project into a reality as Guillermo Del Toro and his long-gestating adaptation of H.P. 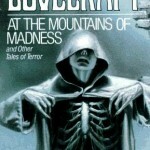 Lovecraft‘s 1936 novella At the Mountains of Madness. After keeping it on the back-burner for several years, the man who brought the world the Hellboy movies, Pan’s Labyrinth, and last year’s international blockbuster Pacific Rim announced his intentions to bring Lovecraft’s vision of bone-chilling horror to the big screen in 2010. The project found a home at Universal Pictures with none other than James Cameron serving as a producer and Tom Cruise circling the lead role. Del Toro intended to shoot Mountains of Madness in 3D on a budget of around $120 million. 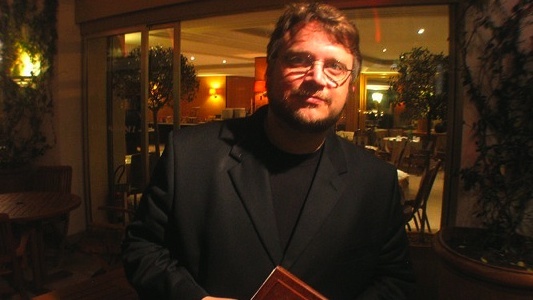 Giving this film the coveted green light seemed practically a certainty, but unfortunately the studio pulled the plug early the following year over concerns if the film would reach a wide enough audience to justify the sizable expenses that would be required to suitably adapt it for the screen, especially since Del Toro was aiming for an R rating with the final product. Before Guillermo Del Toro started filming his directorial effort Pacific Rim, he saw his adaptation of At the Mountains of Madness stall over at Universal Picturess due to budgetary concerns over an R-rated projected. 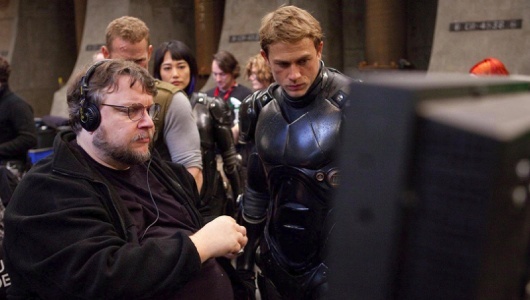 At first there was a slight chance that the film could be produced after Del Toro was finished working on Pacific Rim, but those dreams have been quickly dashed thanks in part to Ridley Scott. Del Toro recently commented on his official website, Del Toro Films, stating that Mountains may never happen because the film bares a strong resemblance to Scott’s upcoming film Prometheus. It started with The Hobbit, which del Toro was attached to helm for a long while before constant delays forced him to walk away from the two-part movie. Next up was the thrilling announcement that he would instead be taking on At the Mountains of Madness, an adaptation of the H.P. Lovecraft story that Guillermo had been dreaming about making. With James Cameron by his side it appeared that this one would be a surefire success, but alas, after whispers of trouble on the horizon, we now know that Universal Pictures has decided not to back the passion project. So why exactly did this ambitious project fail and what will del Toro do next? Keep on reading to find out! 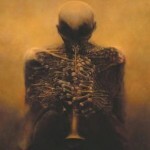 Guillermo Del Toro’s ‘At The Mountains Of Madness’ In Trouble; Comcast To Blame? Some things are just a little too good to be true, perhaps. Back in July, it was reported that director Guillermo del Toro was finally making the movie he had been dreaming of making: an adaptation of the H.P. 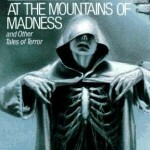 Lovecraft story, At the Mountains of Madness with none other than James Cameron helping out. The director had big plans for the movie, sharing that it would be a big budget horror movie with the movie medal of honor, an R rating. The only problem with that is movie studios don’t like taking risks on horror and R-rated films, let alone ones that come with a massive price tag, so it was unclear whether or not the greenlight would be given…even with fan-favorite del Toro and a helping hand from Cameron. Check out Episode 10 of the Flix of Doom podcast, the official movie podcast of Geeks of Doom, September 6, 2010, with hosts Empress Eve and Justin Vactor. 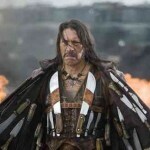 For this Robert Rodriguez-themed episode, we take a look at the filmmaker’s past movies, as well as his new one released this weekend, Machete. We also touch upon movie news and box office results. Click HERE to open the podcast player in a new window. Full Episode Guide is here below, along with player. Tom Cruise & James McAvoy Wanted For ‘At The Mountains Of Madness,’ But Which Does Guillermo Del Toro Prefer? If you follow movie news, you’re aware that last month we found out that Guillermo del Toro would be directing his dream project next, a massive big-budget adaptation of H.P. Lovecraft‘s At the Mountains of Madness with James Cameron helping out as a producer. This was some of the more exciting news we’ve heard in recent memory, but now begins the not-so-exciting aspect to the project: the casting rumors. When del Toro was attached to direct The Hobbit, the constants in related news were either delays due to MGM’s ongoing struggles (which ultimately led to del Toro stepping away from the movies), and of course the never-ending rumors of who might play Bilbo Baggins. Now the casting frenzy has begun with At the Mountains of Madness, and we have our first two potential lead-role names. The good news here is that these actors are not randomly generated rumors, but more the leading names on the studio and director’s wish list. The bad news is that the studio and director seem to have a difference in opinion. Universal is the studio backing the risky project, and sources close to the action claim that they want James McAvoy to star. On the other hand, Mr. del Toro has more of a liking for a one Tom Cruise to lead the charge. One of the countless movie projects that Guillermo del Toro has wanted to direct is an adaptation of an H.P. Lovecraft horror title, but many obstacles have stood in its way. At San Diego Comic-Con 2010 this past weekend, we found out that del Toro was writing and producing Disney’s The Haunted Mansion, and we got a little taste of Don’t Be Afraid of the Dark, which he’s also writing and producing. The thing we did not find out was what he would actually be directing next, which he promised would be a horror and we would know soon enough. According to reports from Deadline, that movie will indeed be Lovecraft’s 1931 novel, At the Mountains of Madness…finally!